Adna is using Smore newsletters to spread the word online. IS CANADA THE GREATEST COUNTRY TO LIVE IN? I would have to say yes Canada is the greatest country to live in. There are a lot of reasons as to why it is the greatest country to live in, a few of which are ; changing populations, interactions in the physical environment, managing Canada's resources, and live-able communities. Canadian immigration shaped our society in many ways, one being culture; the more people immigrate into Canada it increases ethnic diversity which leads to multiculturalism. Canada is a country that accepts differences and sees the beauty in them. Within Toronto alone one can stumble upon little Italy, little Portugal, Chinatown, Koreatown and many other neighborhoods that celebrate culture. One will always feel that Canada is their home away from home. Canada is not known for its natural disasters. Natural disasters in Canada do occur but is not as extreme as other countries. Also Canada has the ability to deal with natural disasters because Canada is a developed country, has a stable government, and economic stability. Every country in the world experiences some sort of natural disaster or extreme weather however, I believe Canada is one of the few countries that is not greatly affected. In addition,Canada offers a variety of farms which handle different practices. In Canada you can be sure fresh foods are being delivered to your local groceries stores. Canada is able to produce a lot of foods. Certain regions of Canada are known for specific types of food production; for example Newfoundland And Labrador are known for eggs and dairy products, Ontario is known for grains, oil seeds, and etc. With all the food grown in Canada it is clear that people have access to fresh food.The agriculture industries in Canada benefits local farmers, local communities and Canada as a whole. Further more, Canada's infrastructure is very developed. We have access to roads, hospitals, schools, and community centers. For the most part most places in Canada are urbanized, however Canada has still maintained the beauty of nature while making the transition from rural societies to urban ones. For instance, If you want to enjoy the city life you can go to Toronto or Vancouver and if you enjoy being around nature you can spend your time in Cape Breton, Nova Scotia. 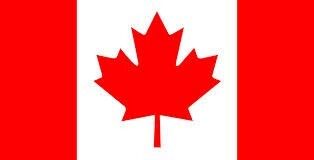 In my opinion, it is clear from the above stated Canada is a great country to live in. Living in Canada allows one to interact with the world in their community because of the acceptance of diversity and the encouragement of multiculturalism. Residents of this great country have a safe and stable environment to live in and also have access to fresh home grown foods. Urban planners have found a way of combining the beauty of nature and urbanism. Regardless of where you are from, Canada will make you feel accepted, at home, and with family. Honestly, I personally could not imagine living somewhere else. "This land is your land this land is my land.